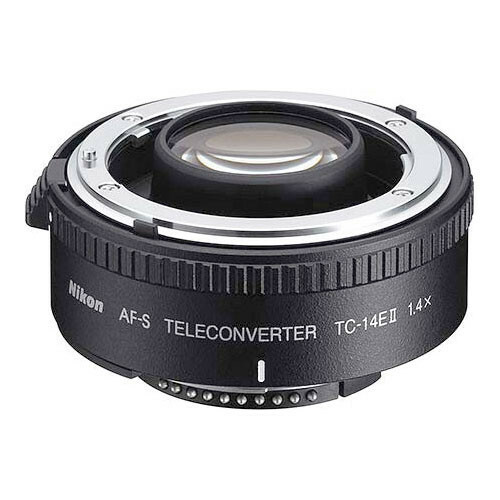 The AF-S Teleconverter TC-14E II effectively extends the focal length of a select few Nikkor lenses by 1.4x. As a low budget alternative to extending the effective focal length of a lens, teleconverters such as the AF-S Teleconverter TC-14E II is an ideal solution. This is ideal for the purpose of shooting wildlife photography as much as shooting sports or action photography. Users preferring to use their existing AF or AI lenses (compatible with the AF-S Teleconverter TC-14E II) can hope to get a decent increase in the focal length range. Nikon has provided Super Integrated Coating (SIC) technology which ensures that the AF-S Teleconverter TC-14E II can suppress lens flares and increase the color saturation of the final pictures to a large extent. Along with it Nikon has provided its Silent Wave Motor (SWM) technology. Bundled with the AF-S Teleconverter TC-14E II it ensures that the overall AF performance is quiet when operational. It supports both FX and DX format lenses, however only a select few are supported. While it adds only 40% more focal length range, there are no visual difference and no drop in performance of the lenses concerned. There are a total of 5 lens elements arranged in 5 groups. The diameter to length measurements is 2.6×1.0” and the overall weight of the teleconverter is 200 grams.The AF-S Teleconverter TC-14E II ships with the front lens cap BF-3A and the LF-1 rear lens cap. Note Compatible with AF-S and AF-I NIKKOR lenses except AF-S 17-35mm f/2.8D IF-ED, 24-85mm f/3.5-4.5G IF-ED, VR 24-120mm f/3.5-5.6G IF-ED, 28-70mm f/2.8D IF-ED and DX NIKKOR lenses.